Burnaby Community & Continuing Education New Job. New friends. New language. New knowledge. New opportunities. 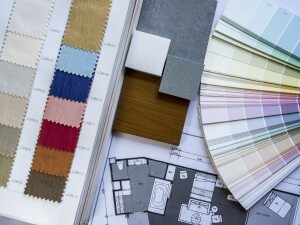 Fulfil your passion and turn your creative talent into a rewarding career: become a Professional Interior Decorator! This program is for those who are seeking employment in the interior decorating industry, for those wanting to start an interior decorating business or for homeowners who wish to decorate their homes with professional looking results. This is a hands-on program that provides you with all the tools and supplies, including a supplier library of thousands of products to use for your learning experience. The full time track is designed for students who want to study at an accelerated pace so they can graduate faster and start working sooner. The full time program runs for 7 months, split into 4 semesters, with classes scheduled Monday through Friday. Semester 1 and 2 are offered in the Fall term. Semester 3 and 4 are offered in the Winter/Spring term. Take advantage of this opportunity to work towards a change in career or to enhance your skills and knowledge in the decorating industry. The part time track is designed for students who need a flexible schedule, with classes scheduled for evenings and weekends. Studying part time takes a bit longer to complete the program, but it allows students to hold a full time job and study on the side. Students pay separately per course as they register. The diploma can be achieved in 1 to 4 years depending on the course load selected. Courses are scheduled Monday through Thursday evenings on a rotating basis. The courses are offered spread out over the Fall, Winter and Spring terms. There are no decorating rules, but there are guidelines which give a home a professionally decorated appearance. We will study the application of the elements (line, space, texture, colour, light) and the principles (proportion and scale, balance, focal point, rhythm, unity) of design. This course is a prerequisite to all other courses in the program. Learn about the types, application and selection of ceiling, wall and floor coverings. Learn what is involved in setting up and maintaining a decorating business, how to market effectively and how to create an efficient working environment. Learn the software program used for everything from space planning to creating 3D colored presentations. The lessons will require a laptop. Colour is one of the most stimulating and influential decorating elements. This course presents the variables of colour theory – including psychology, temperature, value and intensity – and applies them to colour schemes to create the desired atmosphere and to enhance furnishings throughout a dwelling. This course can taken in conjunction with Basics of Design. Learn about functional and easthetic aspects, with an emphasis on selection and application. Accessories are the personal finishing touches in colour, shape, and texture that affect a decorating scheme. Learn how to select, place and highlight them to achieve the maximum impact. Prerequisites: Colour & Schemes and Lighting Applications. Learn the characteristics and variables that affect natural and synthetic decorating fabrics, including weaves, the application of colours, durability, and maintenance. We will discuss fabric content, pattern mixes, and the textures that are most appropriate for each purpose and decorating style. A plain edge is required. Prerequisites: successful completion of Basics of Design and Color & Schemes. Learn about casegoods and upholstery. This is an introduction to the many elements that make up a functional kitchen. Light is required to create the desired mood and to appreciate the decorating products chosen to beautify dwellings. Topics covered include aesthetics of artificial light, selection and placement of lighting, general lighting, task lighting and accent lighting. Prerequisites: successful completion of Basics of Design, Colour & Schemes and Space Planning. Learn about the development of products over the past 100 years. Learn about the elements that comprise specific styles throughout history. Learn about the development of a room, from 1 point to 30 degree isometric drawings. Learn about the requirements for working on client projects. Learn the defining characteristics that make a house a specific style. The physical design in small dwellings can present unique decorating challenges. Learn how to apply background coverings and select furnishings to effectively create actual and visual space to embellish features and complement the decorating style. Learn how to plan and manage the use of space as part of an overall design plan. Topics covered include how to develop traffic patterns within the confines of spaces, redesign spaces, prepare elevations and establish furniture arrangements in regards to focal points. The purpose of ceiling, wall and floor coverings is to enhance the architectural features, furniture and accessories throught a dwelling. Topics covered include types of window coverings, placement, preparing elevations and coverings most appropriate to each decorating style. Prerequisites – successful completion of Colour & Schemes. Apply all that you have learned by completing a final project. Fee payments originally made by credit card are credited back to the same card; for expired or invalid credit cards, refunds are made by cheque. Fee payments originally made by cash or cheque are made by cheque. Please allow 3 weeks for processing. When a class is cancelled by Burnaby CCE, a full refund will be issued. A refund request must be submitted in writing and must include the original course registration receipt. For a refund request received at least 1 week prior to the first day of classes, a $100 processing fee and any applicable course supply fees are deducted when the refund is issued. For a refund request received less than 1 week prior to the first day of classes, a $200 processing fee and any applicable course supply fees are deducted when the refund is issued. No refund is issued for a request received after classes begin. Please see individual course descriptions for exceptions. A refund request must be submitted in writing and must include the original course registration receipt. For a refund request received at least 1 week prior to the first day of classes, a $25 processing fee and any applicable course supply fees are deducted when the refund is issued. For a refund request received less than 1 week prior to the first day of classes, a $50 processing fee and any applicable course supply fees are deducted when the refund is issued. No refund is issued for a request received after classes begin. Please see individual course descriptions for exceptions. A refund request must be submitted in writing and must include the original course registration receipt. For a refund request received at least 24 hours before the start of the class, a 20% processing fee and any applicable course supply fees are deducted when the refund is issued. No refund is issued for a request received less than 24 hours before the start of the class. A refund request must be submitted in writing and must include the original course registration receipt. For a refund request received before the second session of the course, a 20% processing fee and any applicable course supply fees are deducted when the refund is issued. No refund is issued for a request received after the second session of the course. Copyright © 2018 Burnaby Community & Continuing Education. All Rights Reserved.